EC enlargement in 1973: new members Denmark, Ireland and UK in yellow. The 1973 enlargement of the European Communities was the first enlargement of the European Communities (EC), now the European Union (EU). Denmark, Ireland and the United Kingdom (UK) acceded to the EC on 1 January 1973. Gibraltar and Greenland also joined the EC as part of the United Kingdom and Denmark respectively, but the Faroe Islands, the British Overseas Territories and the Crown dependencies of the United Kingdom did not join the EC. Ireland and Denmark both held referenda in 1972 in May and October respectively, and the UK held a referendum in 1975, on membership of the EC, all which approved membership of the EC. Norway planned to accede, but this was rejected in a referendum held in September 1972. Norway later reapplied to join, but voters again rejected the proposal in a 1994 referendum. Greenland later withdrew from the EC on 1 January 1985 after a referendum in 1982. This was followed by the UK holding a referendum in 2016 on membership which resulted in the United Kingdom voting to leave the now EU. The United Kingdom was recovering from the Second World War and Ireland remained economically dependent on the latter, which represented nearly 75% of its exports and this was codified in the Anglo-Irish Free trade agreement of 1966. In 1960 the European Free Trade Association (EFTA) was established and was formed by Austria, Denmark, Norway, Portugal, Sweden, Switzerland and the United Kingdom. These countries were often referred to as the Outer Seven, as opposed to the Inner Six of the founding members of the European Community (EC). The EFTA was founded by a convention known as the Stockholm Convention in 1960, with the aim of liberalisation of trade in goods amongst its member states. On 31 July 1961 the United Kingdom, Ireland and Denmark applied to join the EC. In 1963, after negotiations, France vetoed Britain's application because of the aversion of Charles de Gaulle to the UK, which he considered a "trojan horse" for the United States. De Gaulle resigned the French presidency in 1969. In the 1970s, the EFTA states concluded free trade agreements with the EC. ^ a b "1er élargissement de la CEE (1er Janvier 1973)". ^ "Address given by Harold Macmillan on the United Kingdom's application for membership to the EC" (PDF). Le Centre Virtuel de la Connaissance sur l'Europe. 31 July 1961. ^ a b "Ireland in the EU - Joining the European Community". European Union. ^ "A timeline of the EU". BBC News. ^ "Britain's EU membership: New insight from economic history". VOX, CEPR’s Policy Portal. ^ "Déclaration du Conseil constitutionnel suite à la démission du Général de Gaulle, Président de la République". Constitutional Council of France. 1969. Archived from the original on 4 December 2008. ^ "Press Release re Resignation". Fondation Charles de Gaulle. 2008. Archived from the original on 2008-11-18. Retrieved 2016-05-08. ^ "The European Free Trade Association". European Free Trade Association. Retrieved 8 May 2016. The European Communities Act 1972 also known as the ECA 1972 is an Act of the Parliament of the United Kingdom which made legal provision for the accession of the United Kingdom to the three European Communities, namely the EEC, Euratom, and the Coal and Steel Community. Multi-speed Europe or two-speed Europe is the idea that different parts of the European Union should integrate at different levels and pace depending on the political situation in each individual country. Indeed, multi-speed Europe is currently a reality, with only a subset of EU countries being members of the eurozone and of the Schengen area. Like other forms of differentiated integration such as à la carte and variable geometry, "multi-speed Europe" arguably aims to salvage the "widening and deepening of the European Union" in the face of political opposition. 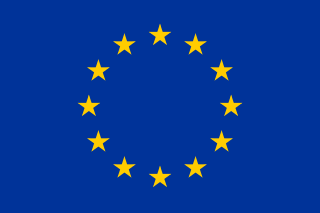 This is a list of referendums related to the European Union, or referendums related to the European Communities, which were predecessors of the European Union. Since 1972, a total of 48 referendums have been held by EU member states, candidate states, and their territories, with several additional referendums held in countries outside of the EU. The referendums have been held most commonly on the subject of whether to become a member of European Union as part of the accession process, although the EU does not require any candidate country to hold a referendum to approve membership or as part of treaty ratification. Other EU-related referendums have been held on the adoption of the euro and on participation in other EU-related policies. Greenland, an autonomous constituent country of the Kingdom of Denmark is one of the EU countries’ overseas countries and territories (OCT). Greenland receives funding from the EU for sustainable development and has signed agreements increasing cooperation with the EU. The history of the European Communities between 1958 and 1972 saw the early development of the European Communities. The European Coal and Steel Community (ECSC) had just been joined by the European Atomic Energy Community (Euratom) and the European Economic Community (EEC), the latter of which soon became the most important. In 1967 the EEC's institutions took over the other two with the EEC's Commission holding its first terms under Hallstein and Rey. Between 1973 and 1993 the European Communities saw the first enlargement of the Communities and increasing integration under the Delors Commission leading to the creation of the European Union in 1993. This is a timeline of European Union history and its previous development. There are five recognised candidates for future membership of the European Union: Turkey, North Macedonia, Montenegro, Albania, and Serbia. All except Albania and North Macedonia have started accession negotiations. Kosovo, whose independence is not recognised by five EU member states, and Bosnia and Herzegovina are recognised as potential candidates for membership by the EU. Bosnia and Herzegovina has formally submitted an application for membership, while Kosovo has a Stabilisation and Association Agreement (SAA) with the EU, which generally precedes the lodging of membership application. In July 2014, Jean-Claude Juncker announced that the EU has no plans to expand before 2019 while Serbia and Montenegro, the most advanced candidates, are expected to join before 2025. While the others are progressing, Turkish talks are at an effective standstill. The Inner Six, or simply "the Six", were the six founding member states of the European Communities. They were in contrast to the outer seven who formed the European Free Trade Association rather than engage in supranational European integration. Five of the Outer Seven later joined the European Communities. The 1995 enlargement of the European Union saw Austria, Finland, and Sweden accede to the European Union (EU). This was the EU's fourth enlargement and came into effect on 1 January of that year. All these states were previous members of the European Free Trade Association (EFTA) and had traditionally been less interested in joining the EU than other European countries. Norway had negotiated to join alongside the other three but following the signing of the treaty, membership was turned down by the Norwegian electorate in the 1994 national referendum. Switzerland also applied for membership on 26 May 1992, but withdrew it after a negative referendum result on 6 December 1992. Relations between the European Union and the United Kingdom date back to the foundation of the European Economic Community in 1957. The United Kingdom has been an important neighbour, was a major member of the European Economic Community since joining in 1 January 1973, and currently is a member until it leaves on 12 April 2019 as per Article 50. Denmark in the European Union refers to the historical and current issues of Denmark's membership in the European Union. Denmark has a permanent representation to the European Union led by ambassador Jeppe Tranholm-Mikkelsen, in Brussels. The current Foreign Minister and Minister for European Affairs is Anders Samuelsen. The Treaty of Accession 1972 was the international agreement which provided for the accession of Denmark, Ireland, Norway and the United Kingdom to the European Communities. Norway did not ratify the treaty after it was rejected in a referendum held in September 1972. The treaty was ratified by Denmark, Ireland and the United Kingdom who became EC member states on 1 January 1973 when the treaty entered into force. The treaty remains an integral part of the constitutional basis of the European Union. 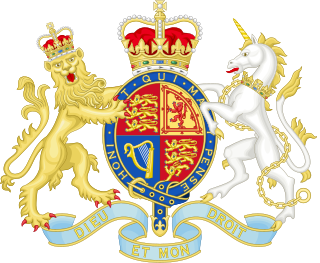 The Accession of the United Kingdom to the European Communities (EC) – the collective term for the European Coal and Steel Community (ECSC), the European Economic Community (EEC) and the European Atomic Energy Community (EAEC) – took effect on 1 January 1973. This followed ratification of the Accession treaty which was signed in Brussels on 22 January 1972 by the Conservative prime minister Edward Heath, who had pursued the UK's application to the EEC since the late 1950s. Denmark and Ireland also joined as part of the same expansion but Norway, who had signed the treaty, declined to ratify it and so it was amended to exclude that country. The ECSC and EEC would later be integrated into the European Union under the Maastricht and (subsequently) Lisbon treaties.